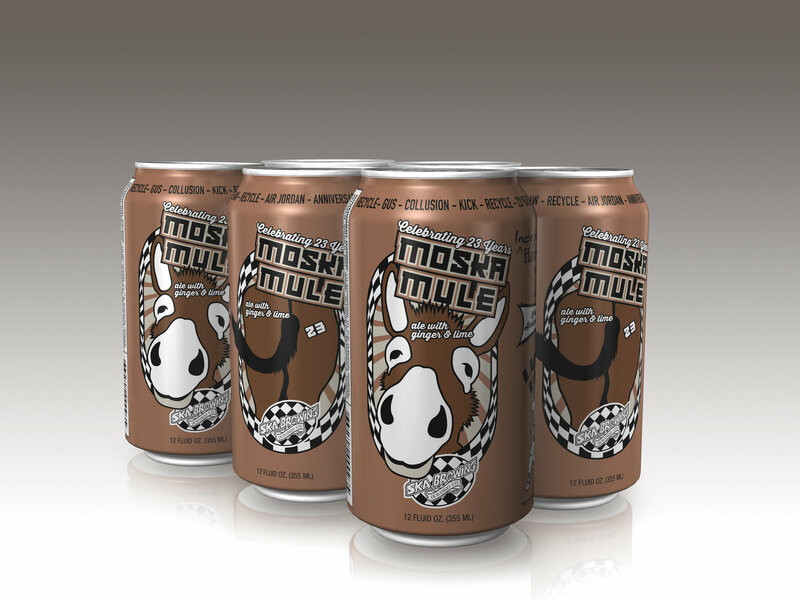 (Durango, CO) — Ska Brewing will release its 23rd anniversary beer, MoSka Mule, in cans across its distribution footprint next week. This ale was brewed with ginger and lime to create the flavors of a traditional Moscow Mule cocktail. At only 6.12% ABV, MoSka Mule is an easy-drinking beer that will pair perfectly with long summer days. Bring on the barbecues! MoSka Mule debuts at Ska Brewing World Headquarters tomorrow, Saturday, June 30 at 1pm with live music in the Beer Garden from four local bands. The beer will be available across Ska’s distribution footprint next week. This is the first of Ska’s anniversary beers to be canned and made available outside of Durango. For more information about Ska Brewing or MoSka Mule, contact Emily Hutto at [email protected].